I've been extremely lucky this fall. It's almost Thanksgiving and temperatures are still averaging in the 50s and 60s during the daylight hours. Which is fantastic because I am behind on bulb planting season! What was unusual this season as opposed to others is that I was immune to bulb shopping for most of the fall. I was able to walk by displays promising brilliant colored tulips, daffodils, crocus and more without even a pang of "I must have this!" urgings. And then I took one trip about two weeks ago to one of my local nurseries - Natureworks - and saw the sign: 25 percent off all spring bulbs. Ok, I'll start with a few crocus, I thought. I started to bag up not one, not two, but three different varieties of crocus. Then I was shown some leftover tulips from landscaping projects that weren't put out yet. Sure, I'll take a few of those, too. And then, it was done. My period of bulb-lessness ended and I was sent home with crocus, tulips and scilla. It didn't end there. 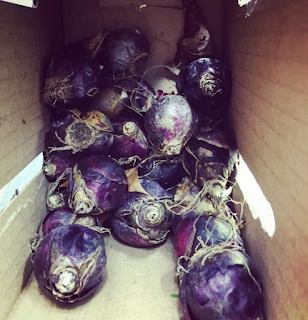 In my inbox at home was an email from Van Engelen Wholesale Bulbs. This time, select bulbs were 40 percent off. Forty percent! Well perhaps I need some more tulips. 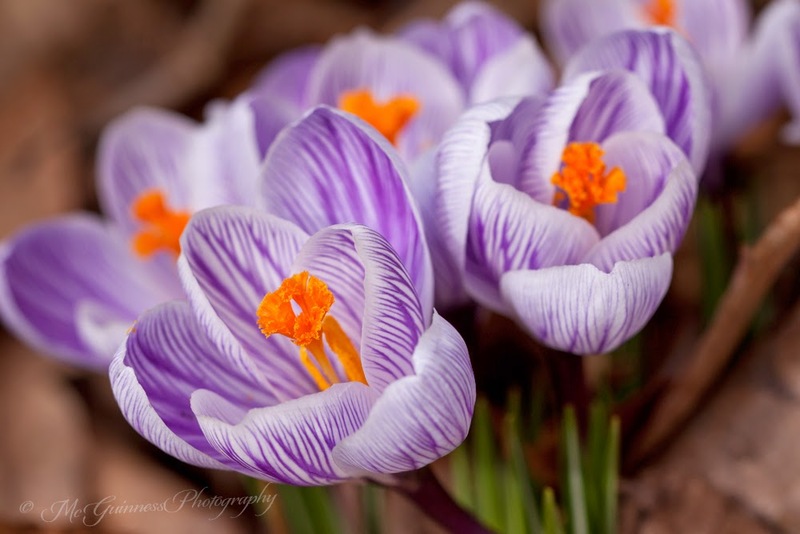 And definitely more crocus. And how about some more scilla - those are supposedly rodent-proof. The order was placed, and within two days, they were here. Since then, I've been slowly chipping away at planting my bulbs in the garden. I've been adding crocus and scilla underneath my hellebores. I've been planting a large swath of scilla siberica 'Spring Beauty' among my hosta bed in the back garden. Still to plant are all the tulips I've purchased between the two garden suppliers. Crocus 'Pickwick' from previous years in my garden. For tulips, I purchased 'Kingsblood' through both garden suppliers, a nice deep red tulip that I'm going to interplant with the 'Flaming Parrot,' which should both bloom in May. I also purchased 'American Dream' and 'El Nino' through Natureworks, which I plan to put in one of my raised vegetable beds (soon to be cut flower garden next year). Will they come back the following year? I have no doubt that the crocus and scilla should. (I've had lots of luck with daffodils too, even though I didn't buy any new ones this fall. They don't like wet feet though.) I've had hit or miss luck with the tulips. They are pretty fussy for me, not liking too much water in their dormant season or they have been gobbled up by the voles. I used to not purchase tulip bulbs because they had such a poor return rate, but now I view them as annuals. If they come back, bonus. But I plan on them not returning. And besides, what's a spring with cut tulips? So with a little luck, the mild autumn weather will hold up long enough to get all these bulbs in the ground! What are you planting - or have you planted - this fall for the spring garden?